Having your own office doesn’t mean that it has to be dull and drab. You can create a great looking environment that will set the tone for getting your work done in the manner that you desire. One of the best options to accomplish this is having an attractive bookcase or other display furniture in the office. When you look through all the different options we have available, your mind will fill with ideas of what you can display, and how it will improve your office environment. We have modern bookcases and displays available, as well as more contemporary options to choose from. 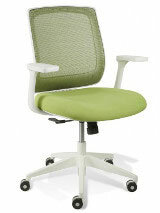 Find one that will compliment the look and feel of your office, and you’ll be able to enjoy it for many years to come. No matter what it is you plan on displaying, you’ll love the way it sets the tone for the entire office. 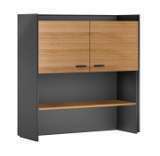 We can even deliver your bookcase or any other item you purchase. We deliver throughout Maine, Vermont, Connecticut, Massachusetts, New Hampshire, Rhode Island, New Jersey, New York, Maryland, Delaware, Pennsylvania, West Virginia, Ohio, Indiana, Michigan, Kentucky, Virginia, Tennessee, North Carolina, South Carolina, Illinois, Mississippi, Louisiana, Alabama, Georgia, Texas and Florida.